The big day is coming and I’m perfecting my epic menu planning spreadsheet. It’s something I start to toy with beginning in November, and I play with organization and color coding so our family has a clear turkey day game plan for shopping and cooking. It’s a beautiful masterpiece of categorized ingredients by grocery store sections and the corresponding recipes. It oddly makes me so happy and let’s me exercise some obsessive compulsive tendencies I didn’t know I had. A word on Aunt Mary. She is a talented cook. She is an effortless hostess who makes any visit to her home memorable. She has every tool, gadget and serving vessel known to mankind (seriously, her cupboards are like a Mary Poppins bag). She never fails to dish out a one-liner, even in the midst of a kitchen snafu, and thus consistently brings on a fits gut-busting laughter among her nieces/sous chefs. Aunt Mary’s kitchen is warm and full of love (and ample supplies of wine), so recipes like this that were born in her kitchen always have, and always will, bring a smile to my face. This bundt only needs a few ingredients, and won’t look as grand as a lattice pie crust or a meticulously frosted cake, but it will blow your mind. Yeah, I said it. It starts with a boxed cake mix and pudding mix (don’t make that face, I see you), followed by hot buttery rum syrup, and finished with whipped cream. It’s not for those who only like a whisper of booze in their dessert. This is an assault of dark rum. 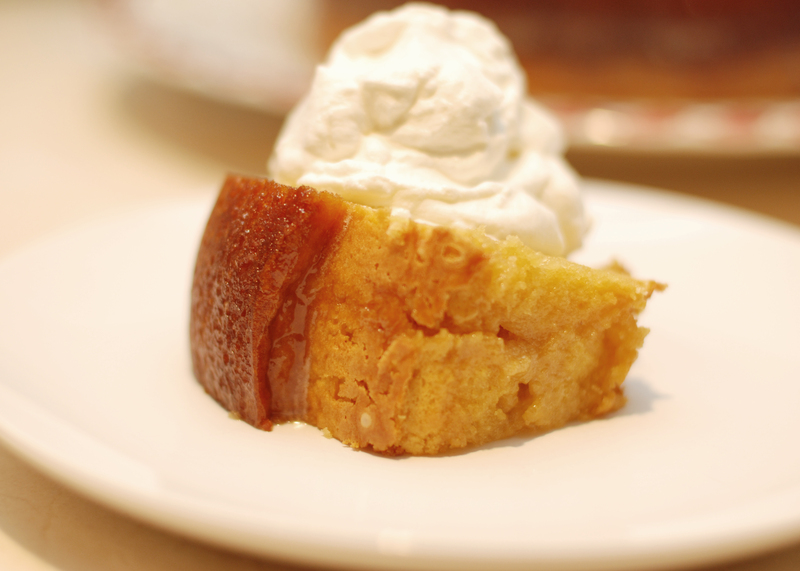 It’s delicious served slightly warm, after the rum nectar has properly soaked into the cake. However, a slice with coffee the next morning is delightful (and a nice wake up call). 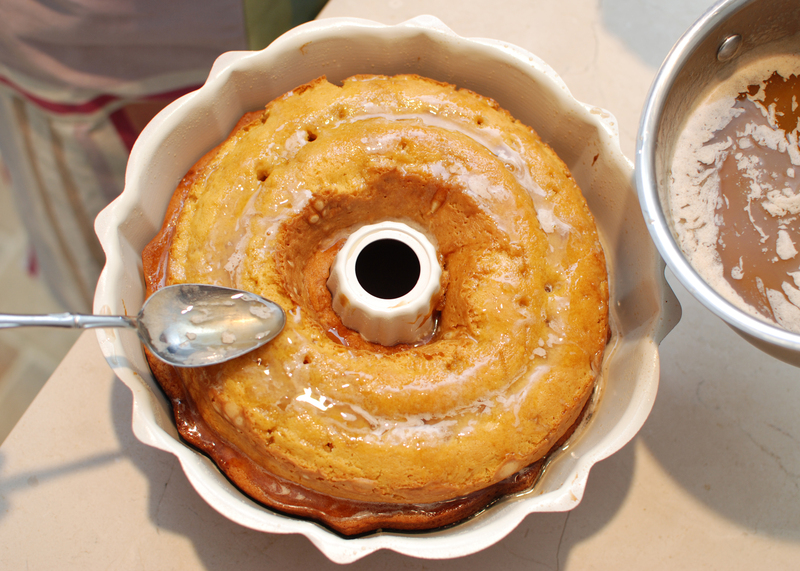 Pour on the rum syrup when the cake is fresh out of the oven, to allow for maximum soaking. 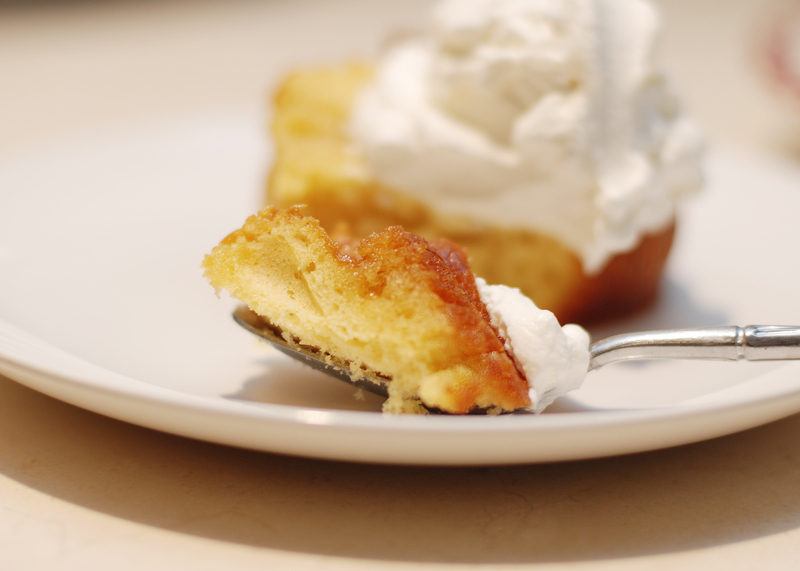 When you touch the bottom of the cake, it should sound squishy, like a soaking wet sneaker. Pierce the cake a lot. You want that syrup to go everywhere, and you won’t end up seeing all the poke holes once you flip it over. 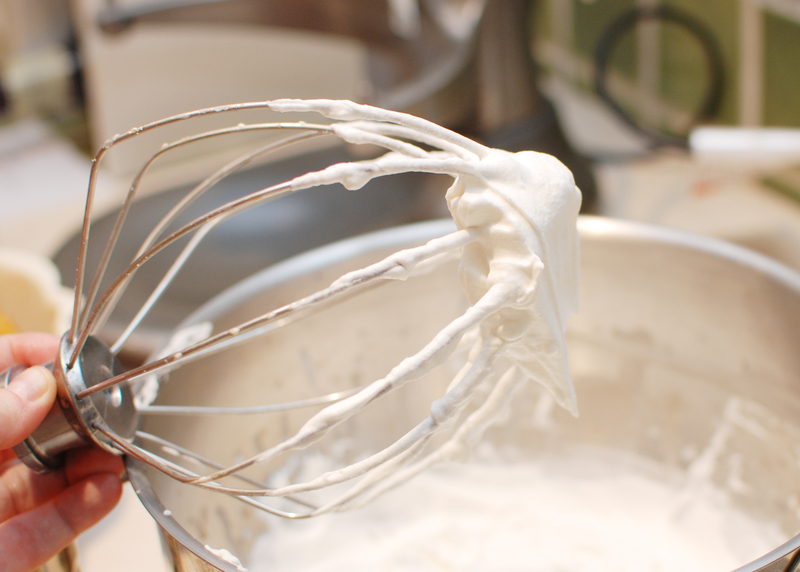 Make the whipped cream right before serving. Don’t let the boxed cake set a precedent for giving up and using Cool Whip. It won’t be the same. I also like to add a bit of fresh nutmeg to it, for some extra spice. Don’t make mini-bundt cake versions of this. I tried it, thinking it would be cuter, but you lose some of that moisture. Butter and flour a bundt pan. If you have a nonstick pan, a good coating of cooking spray will do the trick. Mix cake mix, pudding mix, eggs, oil, water and rum until volume doubles (this may take about 5 minutes). 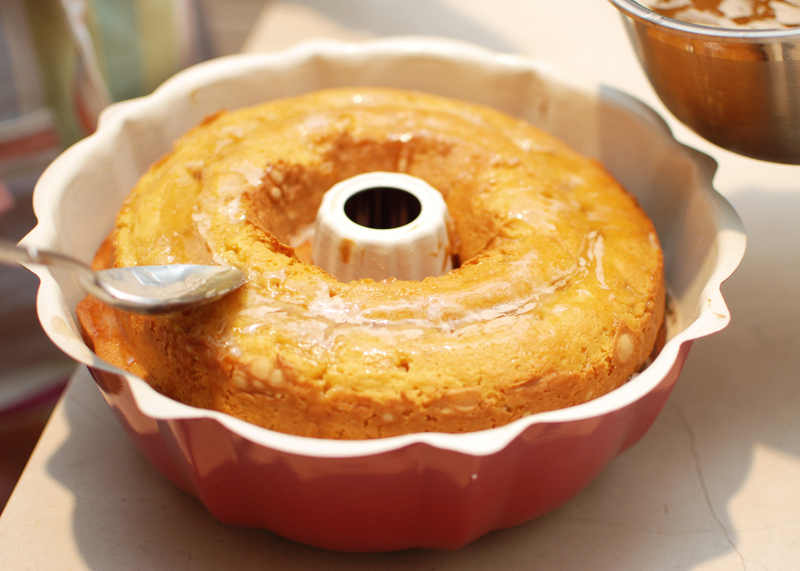 Pour into greased bundt pan and bake 50-60 minutes. 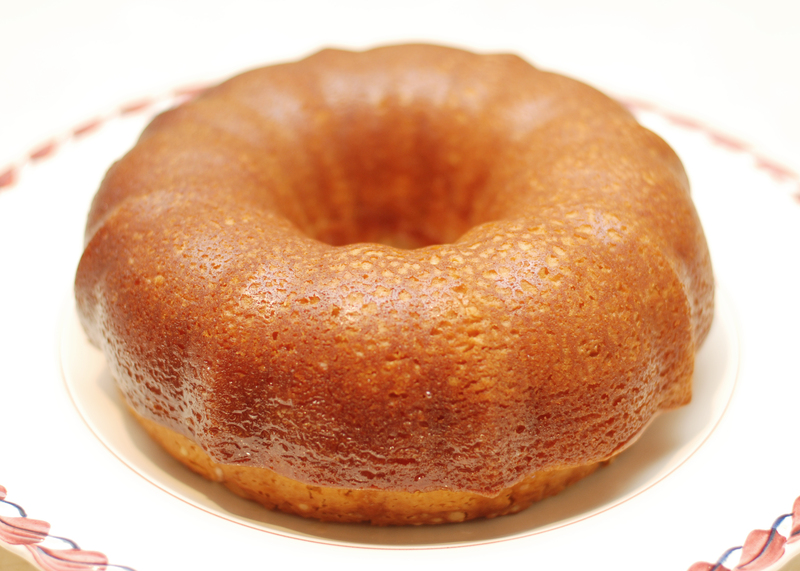 About 5-10 minutes before cake is completely cooked: Heat rum, sugar, and water until sugar is dissolved. Add butter and cook until it’s melted. Remove cake and prick with a toothpick or shape fork all over, pour spoonfuls of rum mixture over the cake until is all soaked in. Wait a half hour then remove the cake from pan. Nice tribute to your aunt! As you know, this specialty is hard to resist and worth waking up early before others get at it. Thanks Uncle G! I agree, it’s definitely one of my favorite desserts to sneak into the kitchen and steal while coffee is brewing 🙂 Miss you guys! best boozy cake I have ever had! 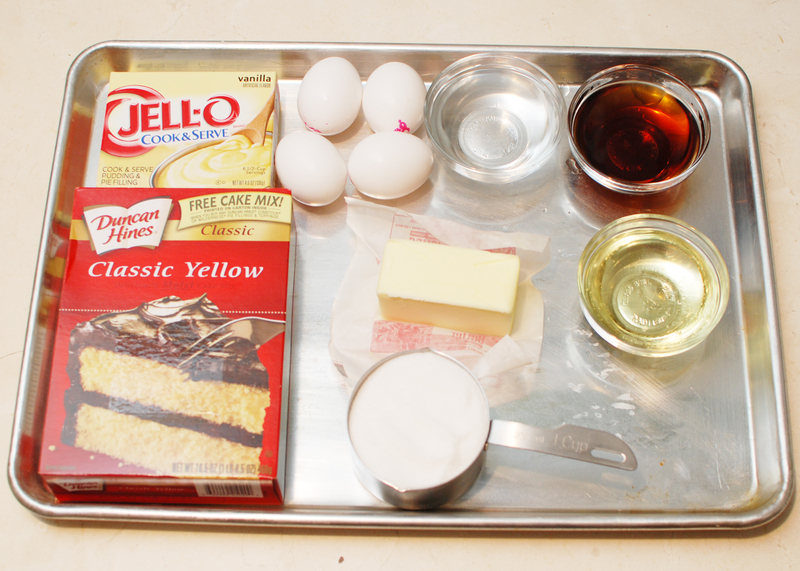 Your cake is perfect looking and I enjoy your tidy mise en place. Cheers to drinking your cake! Or is it eating your drink. Idk. Ok- total yum-envy. Love the photos,too. Now the real question is: Will you be making a second one to bring to NB Sat night?? Total rum-yum-envy! I love your photos,too. Now the real question is: Will you be making this a second time to bring to NB Sat night? ?